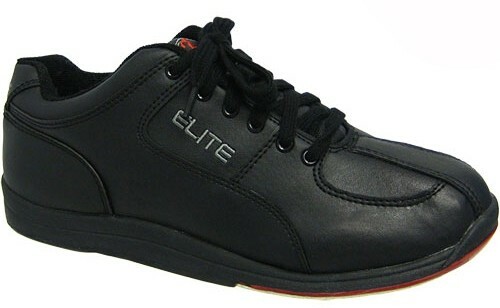 We made Elite Bowling Shoes with one thing in mind, our Elite customer. These shoes have a universal slide sole with strong support to provide great performance for both right handed and left handed bowlers. We only use the finest grade materials to craft our shoes and we stand behind every pair with a two year warranty! Check around and see if anyone else in the industry is confident enough to make that claim? Join the Elite Bowling Family today and bowl worry free for at least two years - we guarantee it. By Joe from Rock Hill S.C. Very happy with my new shoes. Good shoes and value for the money. The shoes are very comfortable. Hardly notice I have them on. No discomfort at all. Really good shoes for the price! Very satisfied with these shoes. would my order be in for Father's Day? Our normal shipping time for our Free Ground shipping is 3-7 business days from the day it ships. If the size you order is in stock and you order this before June 9th then the Free shipping should get to you in time. If it is after June 9th, call to check on the delivery times to be sure it arrives in time. Hello Pete! No, this shoe only has one option for soles. Hi Rick. Yes, we do have a size 10 in these shoes and this shoe will be a regular width which is a D width. can I get shoes in extra wide? This is a gift, what if he would like to return or exchange the bowling shoes? You can purchase the True Fit Guarantee with these shoes, in case he needs to exchange them. The True Fit Guarantee is a one time fee of $5.99, we will send a pre-paid shipping label with your shoes. If your shoes do not fit and you need to exchange them for a smaller or larger size, you can use the shipping label to ship them back to us. The True Fit Guarantee will also cover our $5 reship fee that we normally have for shoe exchanges as well. You may still return these or exchange them without the True Fit Guarantee as well. Do these shoes have slide soles? If yes where can replacements be found. Due to the time it takes to produce the Elite Mens Atlas Black ball it will ship in immediately. We cannot ship this ball outside the United States.